Kasongo’s story could have ended with her wandering the streets of Kikula with her siblings, desperately trying to survive. 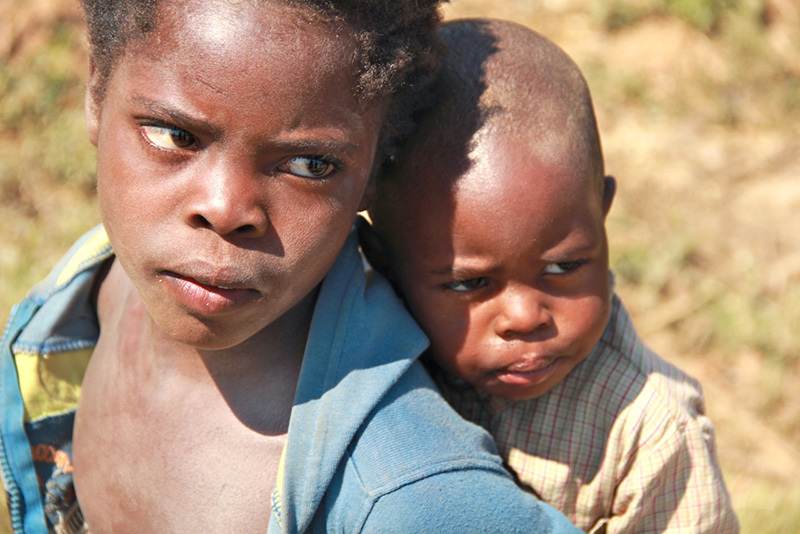 With no means of supporting herself, Kasongo began to suffer physically from a lack of food. The trauma of her father dying and the rejection of her mother abandoning her have left deep scars in this young girl. Care Workers are the men and women from local churches who have committed their lives to caring for vulnerable and traumatised children. But many of them have suffered their own traumatic experiences of abuse and abandonment. Though many Care Workers desire to provide holistic care for the most vulnerable children in their community, often the pain within their own hearts affects their ability to give. Madeline* is a 10-year-old girl living in Chilabula, a small village 30 kilometres from the town of Luanshya in Zambia. Madeline is now in grade 2 and enjoys going to school. One day, she hopes to become a nurse so she can help people in need. When she is not at school, she enjoys playing games and collecting wild fruits with her friends. At Hands at Work we have many volunteers, from Africa and all over the world, who have had experiences in Africa that have changed their lives. Most volunteers have a moment, or a series of moments that defined their understanding of God’s heart for the poor. At Hands we encourage all volunteers to focus on relationships, and the real moments God blesses them with as they meet Care Workers and children across Africa. Often these moments become a memory, but sometimes they are captured on camera. Photos have a powerful way of evoking memories and the feelings experienced in the moment. We asked our volunteers for one photo that is really significant to them and to describe why. The most significant photos to us are not always necessarily the most professional or even most beautiful images. They are the ones, however, that take us back to a moment that changed our lives. "Nothing to live for herself but so much to give for others"
"She does not need words to head the CBO"
In the end, being strict with myself, I have today decided to select one from this past visit to KaPhunga. It's one that reminds me of lots of things ~ the new centre can be seen in the background ~ there is wonderfully caring baba Vusi, who shows such love to every child and family he meets ~ including this little family that we met on our way back from visiting the 'field' that Nomsa (Community Based Organisation Coordinator) has been given by the community to grow maize for the children of Swaziland. It shows me how Hands at Work has assisted Nomsa to encourage a community in her country to care for the widows and orphans, and bringing us all together from all around the world, walking side by side to be the hands, feet and heart of Jesus. Annie is a disabled teenaged girl who lives with incredible challenges. Orphaned, neglected and rejected, her incredible smile encourages me to hang on to hope in hopeless situations and trust God for breakthroughs. The reason I love this photo: it represents the unity of working together and the main source of the day; food! A lifeline to unite the culture. Description: The first time I visited Memory and Kelvin and their siblings in their home was the first time I felt strongly that there was no hope for one of our children. I saw the Care Workers pour love out on them and that was when I realized that the love of the Care Workers is what brings hope. I have this picture up in my room and it reminds me to pray for them by name. Description: After riding motorbikes through the jungle to a remote village, we came across children who had not yet been ‘found’ and brought under the care of the Community Based Organisation. Dayo was one of the most broken and traumatised children I have ever met, having been abandoned by his mother as a new-born. He now attends school with his older brother, eats at the Care Point each day and receives regular and loving home visits from the Elekuru Care Workers. Your short description: We visited Madris in his home. When asked where he slept we were directed to a kitchen hut no more than 1.5m in diameter – half filled with cooking equipment, the other half he would share to sleep in with his older brother. It was heart wrenching to see the squalid and unsafe conditions he slept in every night. The only reason I could walk away from this situation was knowing Madris has a Care Worker Henry, who visits Mandris almost every day, and cares for Mandris as if he was his own son. For me, this photo captures the beautiful relationship between Care Worker and child that is so foundational to who we are as Hands at Work. passing moment a smile broke across her face. This photo was sent to us by Fortunate and is taken at Siyathathuka Community Based Organisation in Clau Clau, South Africa. It is of 5 families who take home fresh spinach from the garden Fortunate made. The Care Workers and children there now have a large garden and I believe more children are taking home fresh vegetables which will help their health. The reason that it means so much is that while our team were there we were able to replace the pump in the borehole so that they have water to enable their garden to grow. It has just shown me the difference that water can make to a community in so many ways. Our God is so good and provides - it was great to see them recognize this and to be so thankful to God for it. This picture brings me hope. Tanazio is teaching children in the morning at the Care Point in Maonde community, Malawi. It brings hope for the future, hope for these children, and to me represents how the Care Workers serve vulnerable children across our communities. I stayed with Senty and her family just weeks after coming to Africa for the first time. Her mother is 19 and was taking care of their household because her own parents have passed away. 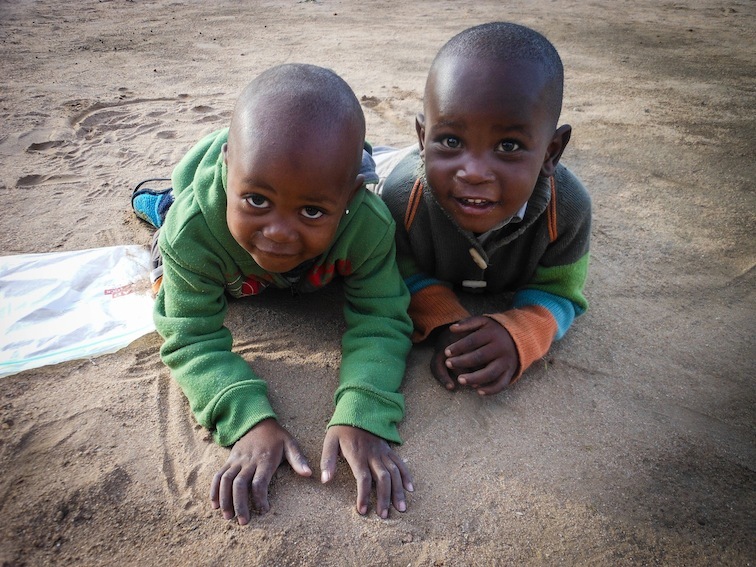 Their family is one of the poorest and most vulnerable in South Africa. But meeting Senty made me realise that a child in the most dire situation in Africa is not that different from a child in Canada. Their souls are the same. Senty is creative, bright, spunky, naughty, loud, beautiful, and has the biggest imagination. When I asked her what she wants to be when she grows up, she said a frog. I feel every bit of her spirit when I see this photo and it’s second best to being with her in person. In 2009, 6 young children were devastated by the loss of their parents. The eldest girl, Busie, 15, took responsibility for their mentally challenged and mute brother, Robert, and an uncle offered to take in the four youngest siblings: Segney, Gertrude, Ronald, and Karimo. It wasn’t long before the children realized they were not going to experience the care and provision they had anticipated from their uncle. Their uncle began stealing the small government orphan grant being given to the four orphaned children. On many nights, the children went to bed without food and often went to school without adequate clothes. One by one, the children fled from their uncle to their old home. In 2011, Busie became pregnant and gave birth to a baby girl. With no one to help Busie raise her daughter and siblings, and with repeated years of failing at school, Busie dropped out in Grade 8. Motivation to continue attending dwindled and the hope for a brighter future became bleak. Housework and providing meals for the family became overwhelming. The growing instability in this family’s life started to affect the other children’s school work and their teachers became concerned. Aware that the family was in need of support, the teachers asked Care Workers at Pfunani Community Based Organisation to help. Ester, a Pfunani Care Worker began to visit the family and look for ways to support them. She helped the children to apply for a social grant which they are now receiving. Each morning, Care Workers visit the family home on their way to the Care Point to ensure porridge is cooked for Robert. During other home visits, Ester helps to ensure the house is clean, laundry is washed, and meals are cooked. Although Busie still struggles with feelings of depression, the family are discovering a new reality of hope. Not only are they fed physically, with a nutritious meal each day at the Care Point, but also spiritually and emotionally. They enjoy interacting with other children at the Care Point and attend weekly lessons led by their older peers, where issues such as self-esteem, healthy relationships, and sexual education are discussed. Ester desires to continue helping Busie and her family to experience brighter days, to understand that they are loved and embraced as family. The McLaughlin family and friends desired to make their partnership with Pfunani Community Based Organisation personal. They wanted it to go beyond just the sending of funds. This group are getting to know the Care Workers and children by name, and they look for creative and meaningful ways to impact their lives and the community. In 2013, they formed a team and travelled to South Africa to spend time with the people they had grown to love. During their time in the community, they worked to make the Pfunani Care Point a safe, secure and fun place for the children and Care Workers to meet. Children like Busie and her siblings, who have battled with so much loss and rejection, now find a place of acceptance and value. The McLaughlin family and friends work closely with Hands at Work to make a positive impact in the lives of these vulnerable children. And through it, they have discovered a new reality of hope for the children and Care Workers they know by name. Have you considered sending a team to visit Hands at Work, or joining other individuals who desire to bring hope to the most vulnerable? Find out how you could get involved with Hands at Work by sending a group of passionate people to serve on a short-term team. No skills are required, just a commitment to serve and a desire to care. Anna “Oumie” Snyman is a true blessing from God to the Hands at Work Family. She is the mother of our Founder and CEO, George Snyman, and now lives at the Hands at Work HUB in South Africa where her gift of intercession calls God into the lives of all volunteers, Care Workers, and vulnerable children. 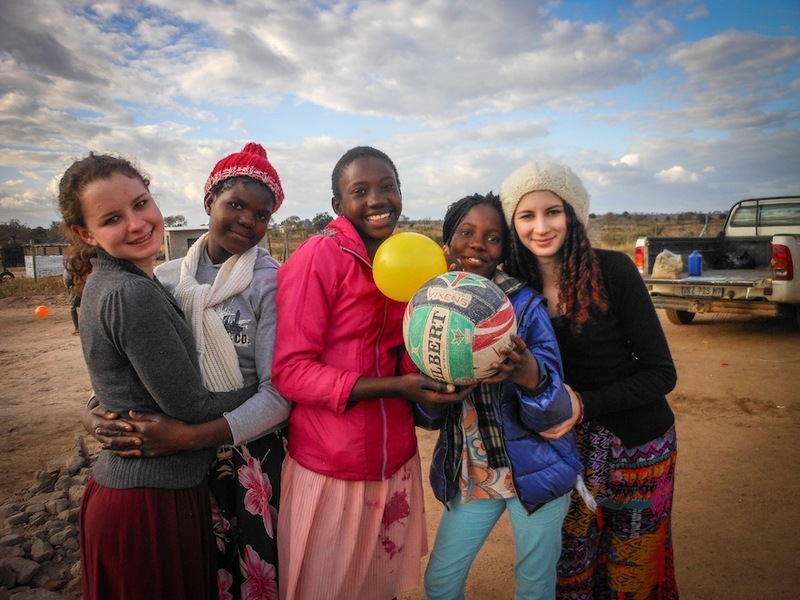 Though Oumie prays for all our countries from South Africa, the entire Hands family rejoiced when she recently had the opportunity to travel to Zambia. We knew it would be special for the Hands Family there to be blessed with her presence, and as she describes her journey, we see God used her as a great encouragement. “I couldn’t believe I was going. I mentioned it and three days later, I was going!” Oumie said God gave her one of the greatest desires of her heart when he made a way for her to go to Zambia recently. Psalm 37 had always been her favourite and she felt so blessed to see the Lord’s word in action. Having never been to Zambia before, the whole journey was an unexpected adventure. Describing the ferry she took to cross the Zambezi River she said, “As far as I’m concerned, a ‘ferry’ is a small boat. This ferry had trucks right on it! I seriously considered hitchhiking”. She saw beautiful sunsets and was blessed with her first visit to Victoria Falls where she was amazed by the size and sounds of the incredible waterfall. 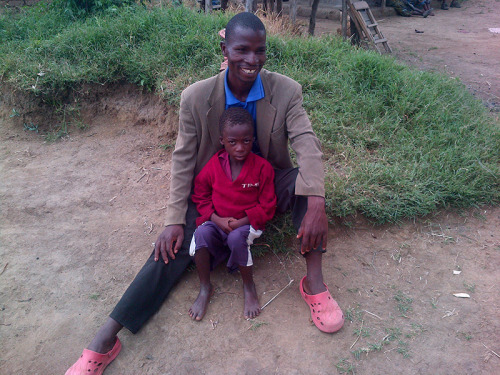 In Zambia, James Tembo, Zambia RST Coordinator, walked with Oumie in the community of Zimba. She was touched by a group of local people who were building a house all on their own. She was also blessed by two people she knew only through her son George, and on this trip got to meet: Hilda and Charity. Ten years ago, as George walked across Africa, he came across a lady who took him in to her church where the congregation prayed for him and prayed that he would go out and tell others about Africa. This lady’s name was Hilda. George never saw her again until a few years ago when he was in Zambia for the Hands at Work celebration. George was in Zimba, walking through the village, when he saw Hilda! He brought her to celebrations and she has since been a Care Worker at Zimba CBO. One year ago, George came home from Zambia with a photo of a three year old girl named Charity. She looked like she was only one years old and George knew she was close to death. 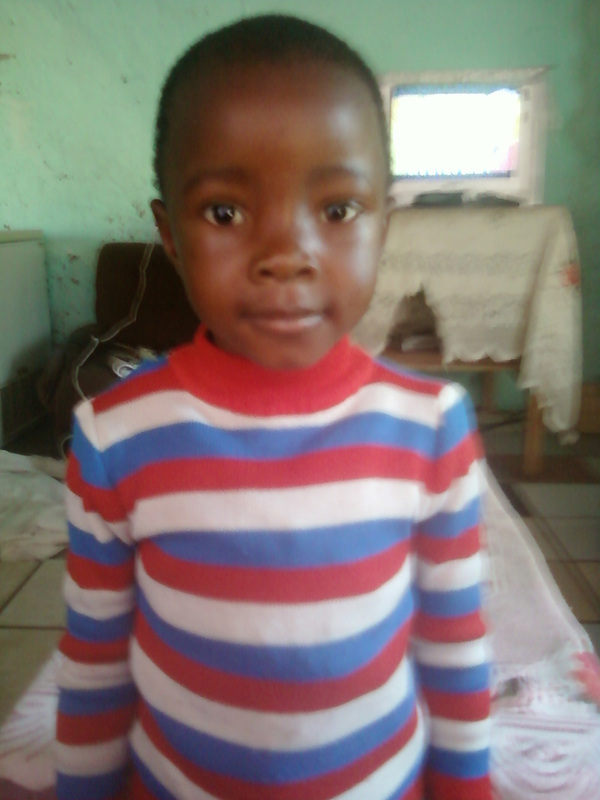 She was neglected by her family and her Gogo could not care for her properly. As a family, the Snyman’s began giving extra to her; Oumie sent clothes and sweets with others travelling to Zambia, just for Charity. And Oumie prayed for Charity. On this trip, Oumie met Hilda when she went on Home Visits with James. When they arrived at the Community School, Oumie met Charity. “She was healthier, she was laughing. Now she looks four years old!” Oumie said, “Hilda is a lady of God who has adopted her and cares for her so much.” Charity immediately connected with Oumie and made sure everyone knew Oumie was her friend. When Charity’s brother came to meet Oumie, Charity became jealous and sent him away! Oumie was so thankful that Charity looked so well, that their family had been blessed to be involved in this young girl’s life. Oumie saw the transformation Zimba CBO is making in the lives of vulnerable children. She saw how wonderful the Community School is and how the children have a safe place to go each day and be fed and be filled with joy. Nora is a volunteer care worker at the Mandlesive Community-Based Organisation (CBO) in South Africa. As a care worker, she joins several other men and women who share her heart of servanthood to bring hope to the most vulnerable children in her community. The care workers visit these children regularly, offering help with homework, spiritual guidance, and a listening ear. They walk them through heartaches and encourage them to follow their Father and the plans He has for them. Evidently, their stories are every bit as compelling as those of the children whom they serve. "After my boyfriend left me alone to care for our daughter, I started selling home grown vegetables to earn a living. It was tiring work, and often left me stressed and tired at the end of the day. At the time both my sister and my mother were very sick, and I found myself caring for them and my sister’s children in addition to my daily jobs. My only hope was these women who would come and visit my sister each day. They taught me how to bathe her and care for her. Once my sister died and my little family gained four more, children, I decided that it was too much to bear and I needed some way to cope with my life’s situation. Then my mother passed away. This is when I asked to join these faithful women who had been devoting their days to caring for my sister and her family. Now that I am a careworker at Mandlesive Community-Based Organisation, I couldn’t ask for a different life. I care for nine orphans by assisting them with their daily activities such as washing, cooking, helping them with their homework, just as the other careworkers cared for my family. Giving to the community from the bottom of my heart is the reason that I get up every day; the reason that I can cope with losing my sister and my mother. There are often times where I must give up some of my family’s support in order to bring necessities to these children, and sometimes it is difficult for me to explain this to my family. Sometimes people laugh at me and tell me that I am stupid to be giving up my life to care for other people. While this hurts me, the pain of seeing a hungry child hurts more. The Lord has overwhelmed me with his blessings. He has kept me and my family safe – there are many times where I have worked with very contagiously sick patients, and He has spared me from illness. My daughters are happy and healthy, I have sweet potatoes in the garden and mangoes on my trees, and my family has food on the table each night. I am able to love these orphans that I care for as my own children because I recognize that it’s not my love to give. Our Father has so richly blessed us with His love, and I know that the love that I show these orphans does not come from me, but Him. Nora was recently trained by Hands at Work, through the Walking with Wounded Children Program. The training, developed by a team of counsellors and psychologists, equips those who care for children with tools to lead them on a path of healing from any emotional wounds or losses they may have experienced. This training, combined with the love embedded in the hearts of women like Nora, are bringing God’s hope to vulnerable children across Africa. 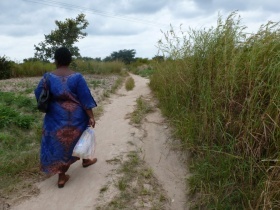 Loveness walks to visit the patients and children whom she serves. Most of their homes are deep in the Zambian bush. It is Tuesday. The sun is particularly hot and the sand below her feet is dry. Loveness is accompanying a care worker on one of her daily home visits. They arrive at a home nestled in the bush, where a grandmother sits on a grass mat, and leans against the wall of her home. She has been sitting on this mat from the time the sun rose, and will stay there until she is ready to go to bed. She is the guardian of Agnes*, her seven-year-old granddaughter. 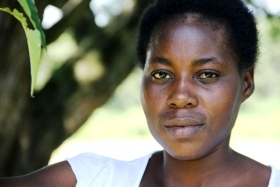 Agnes’ mother passed away due to HIV, leaving her behind with her memory, and her disease. Seven-year-old Agnes and her grandmother take care of each other, but there is no source of income, and their small home is not secure and is falling apart. 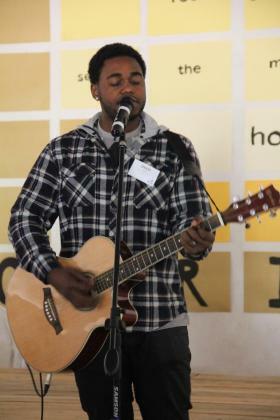 David Da Costa is a musician from Mozambique, living in Australia. Him and his wife, Carly, give time volunteering for Hands at Work in Australia. Inspired by stories of desperate African communities, they wrote this song and we are giving it to you now as a free download. Diamonds in the Dust from Hands at Work in Africa on Vimeo. Buried in the backrooms of poor communities, these youth are truly our diamonds in the dust, and worth a lifetime of searching for and discovering them. Christa Roby, a massage therapist in British Columbia, Canada, volunteered with Hands at Work for six months in South Africa in 2010. Two years later, she feels an undeniable pull to return. Read her reflections as she prepares to pack up her life in Canada and follow her heart, and God’s calling, to Africa. "For me, it's harder to be away from Africa than it is here... It’s where my heart is. After being there so much and having that time with the people there, and seeing someone who has so little, but gives so much, it just becomes something you want to be a part of, something you want to share in...It's raw, it's innocent, and it’s a deeper sense of fulfillment." Read the rest Christa's reflections on coming back to Africa in the Chilliwack Progress. "I soon realized that making the decision and actually doing the follow-through are two very distinct acts. But no matter how big the effort to follow-through would be, I knew in my heart I would walk it out." To raise money for her trip, Christa hosted a charity gala in her hometown. Read about it on the Hands at Work Canada Page.